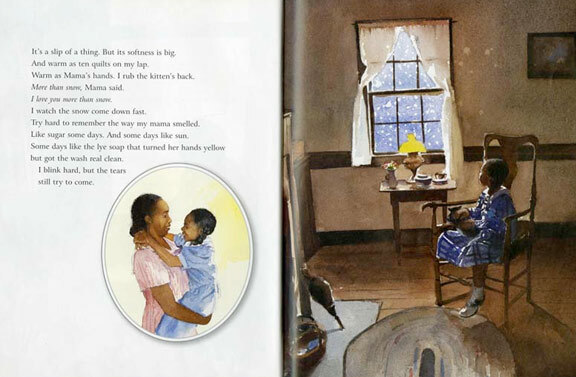 Coming On Home Soon is set on the homefront during WW2, and is written in simple, poetic language. It tells the story of young Ada Ruth, who lives with her grandma while her mother is away working in the factories. Emotions are palpable in this beautifully illustrated story of family love.We're not sure...we haven't read this book yet. 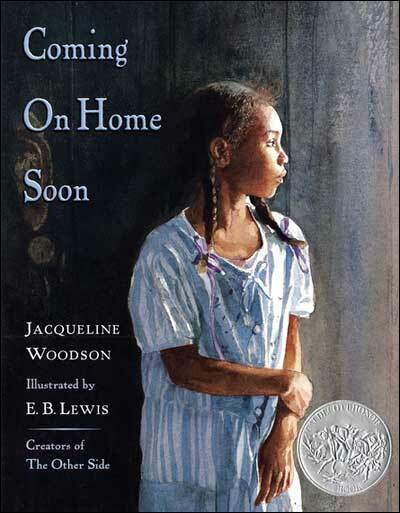 We have a strict policy of only listing books that we have personally read and reviewed, but we're making an exception here so that our 2005 Caldecott winner list is complete. For now we can't share our own thoughts on the book and its classroom use, but we'll hopefully be able to add a review soon. 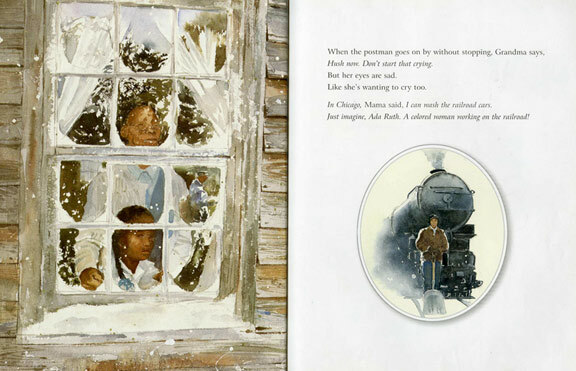 You may also want to check out other books illustrated by EB Lewis. To learn more about these books, click on the covers below or the link above.